Seeraj Semaar is a photographer and stylist from Cape Town, South Africa. I first came across his work after Vanessa Viertel featured a picture of him in her photo series about Capetown's streetwear scene. This city seems to be full of street culture and the right people to push things forward. 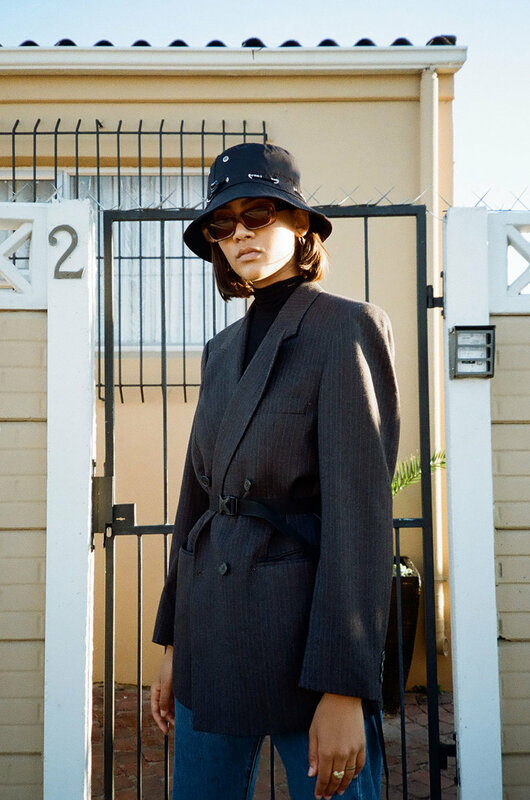 It’s time for Biancissimo to step into these South African creative fields for a second time and present you Seeraj Semaar’s new editorial and write-up by Luca Williams. Being part of the creative working force within Cape Town is undoubtedly a very special experience. It is even more so when you are a creator/artist of colour. There’s always a grand (and very doable) vision of creating work that not only looks good but also feels good to engage. This feeling is usually derived from the meaning and sentiments the work contains and may be presenting. 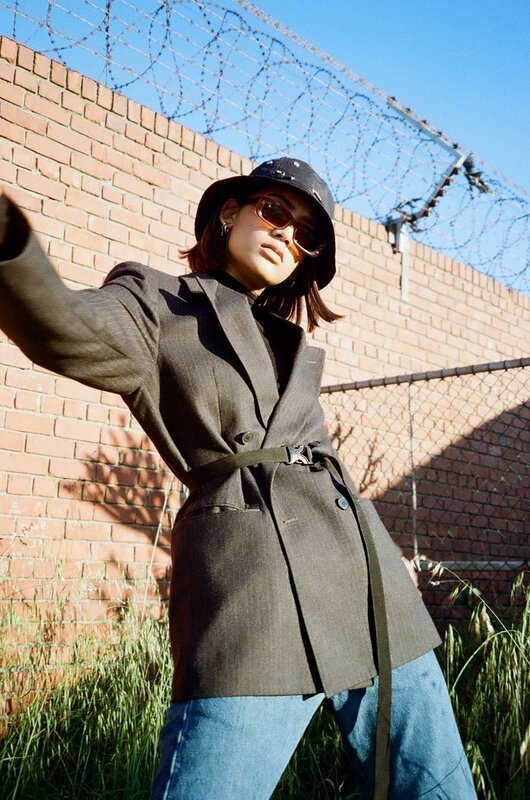 Cape Town’s creative culture is one that is still within its infancy. This gives rise to a lot of mixed emotions about the future of it amongst local creators and artists. A great contributor to this is a fact that there aren’t many that have come before us within this industry. Therefore there is very little discourse for us to consult when we either want to start something, make mistakes, fail and even when we succeed at our endeavours. As a creator/artist of colour, the lack of financial support and insulation does not make anything easier. The pressure to perform is both present and absent. Regardless of how hard it can be to create work; the key motivation here is that we manifest our ideas and visions in order to build and develop a discourse that come after us. This particular body of work required us to drive to a location very seldomly considered when thinking of ideal backdrops. It was a bizarre experience considering the overall social and spatial dynamics of the location. Rugby is seemingly mundane and uninspiring but once engaged, it turns into a very intriguing space and experience. From having dogs barking right behind Summer, while Seraaj shoots, to having to beg those managing private commercial spaces for access. The most interesting part about this body of work was that it was all about exploring the space and not being afraid to use environments outside of our comfort zone. The shared creative understanding between Seraaj and Summer made it easy to manifest the feeling and overall energy of the intended idea for the shoot. Summer being very confident and comfortable in front of the camera allowed for Seraaj to really push his own visual language as a whole. Due to the vision being understood by both the photographer and model, go the extra mile becomes easier. We found that going beyond what we know and like, in many ways, present and allow new ideas and perspectives. In addition to this, we found that working together with a collective intention and understanding truly gives birth to work that is successful and more importantly that truly matters to us.